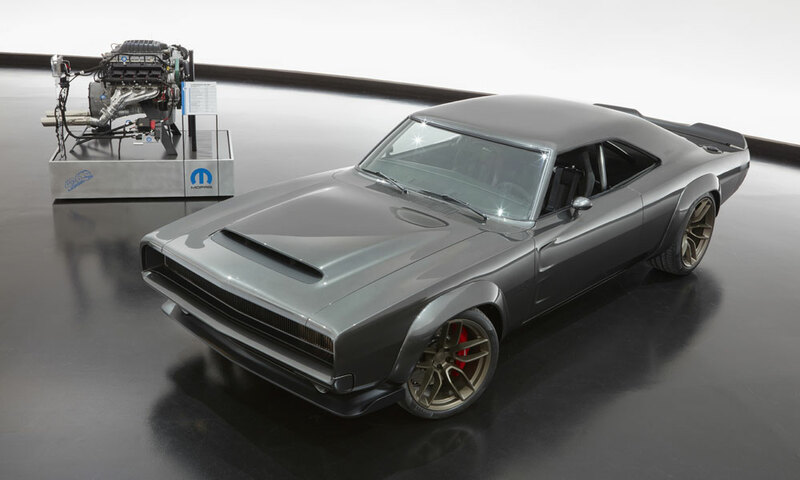 The 1968 Dodge "Super Charger" concept is an updated classic that houses Mopar's new "Hellephant" 426 Supercharged Crate HEMI® Engine. The crowd at the annual SEMA show in Las Vegas has seen plenty in terms of power and performance. Mopar turned heads this year by going big. 1,000 horsepower big. 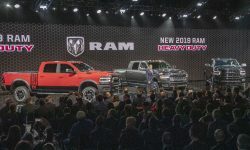 That gets us to the new “Hellephant,” a supercharged 426-cubic-inch HEMI® V-8 crate engine unveiled at SEMA 2018 and which goes on sale in the first quarter of next year. The “Hellephant” feeds 1,000 hp and 950 lb-ft of torque into any pre-1976 street or off-road vehicle you can fit it into. That output level is on pump gas, by the way, not some exotic racing fuel. The name? Like the engine, it blends elements of legacy and modern heritage. 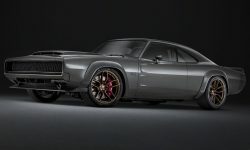 The 426 Gen 2 HEMI V-8 from the ‘60s and early ‘70s carried the “Elephant” nickname due to its power output and physical size, while the modern supercharged Gen 3 HEMI V-8 is the “Hellcrate” engine, debuted by Mopar last year at SEMA. Just like the other members of the Mopar Crate Engine family, the “Hellephant” 426 offers true plug-and-play installation with the Engine Kit that includes an unlocked Powertrain Control Module, engine and chassis wiring harnesses, power distribution center and electronic throttle pedal. There’s also a Front End Accessory Drive (FEAD) kit that includes an alternator, pulleys and drive belt. The 1968 Dodge Charger, left, was the starting point for the FCA Product Design Office’s update, the Dodge “Super Charger” concept. What can you do with a “Hellephant” 426 engine? 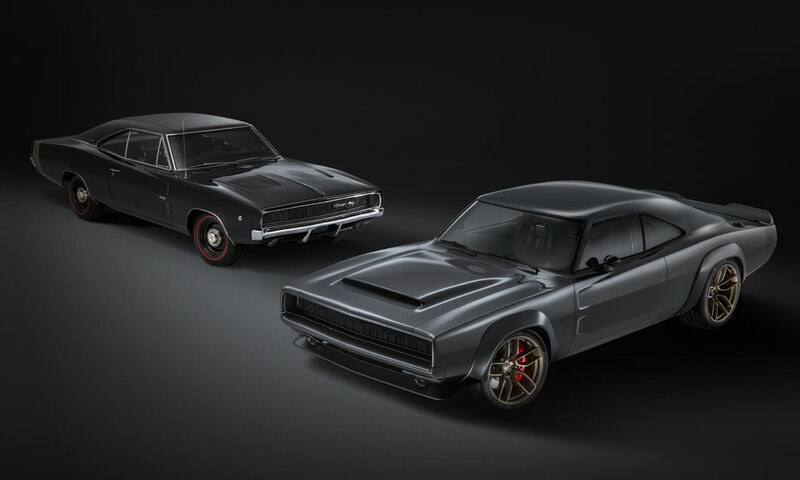 Mopar and the FCA US Product Design Office decided it was a great starting point on a project to mark the 50th anniversary of an iconic design – the 1968 Dodge Charger. The second-generation Charger is a long and wide car that exudes speed and performance and became a favorite of movie directors, most notably flying through the streets of San Francisco in “Bullitt.” The design was built for only three years but it still turns heads today. Five decades later, designers tackled the challenge of preserving the spirit of the 1968 Charger while modernizing it. 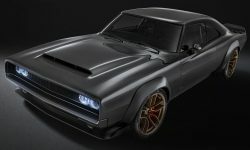 The result: the 1968 Dodge “Super Charger” concept, also unveiled at the 2018 SEMA show. 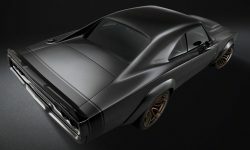 Of course, the heart of the “Super Charger” is the “Hellephant” 426 HEMI Crate Engine under the custom fiberglass hood with a modified scoop adopted from the Dodge Challenger SRT Demon. In a real twist, the design team kept the original look and location of round taillights, but converted the four units into high-mounted exhaust outlets (using Alfa Romeo Stelvio exhaust tips from the Mopar catalog) with the exhaust pipes routed through protective boxes in the trunk. LEDs cast red light around the exhaust ports for the proper brake light illumination. While the 1968 Dodge “Super Charger” is a one-off concept, it shows what performance car enthusiasts can do with a dose of creativity and the Mopar parts catalog, including the family of crate engines headed by the Hellephant 426 HEMI. 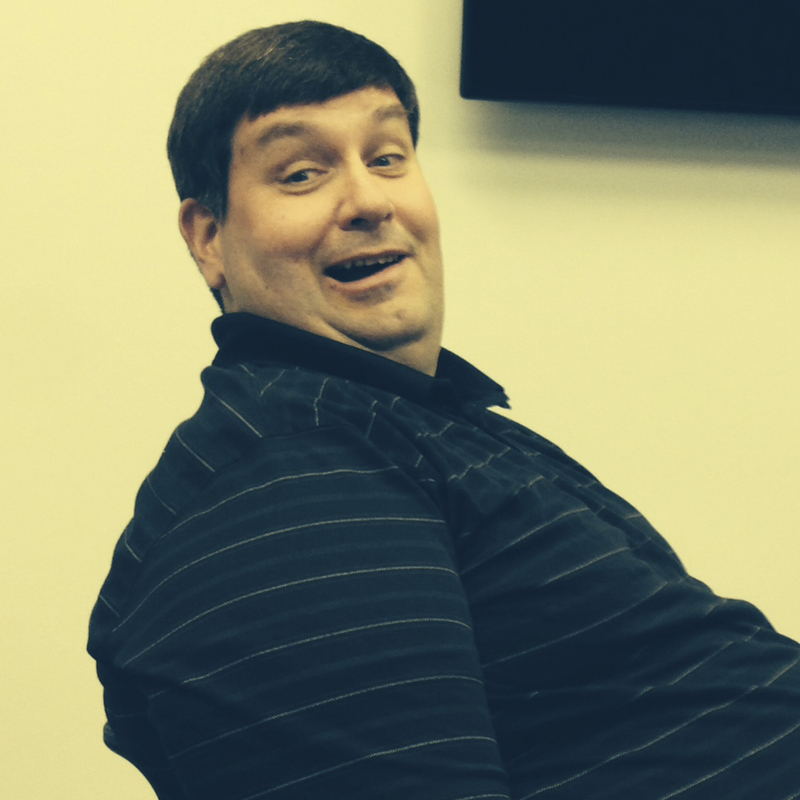 What more does it take to prime your imagination? Headlamps from a modern Dodge Challenger SRT shine behind the fixed grille of the Dodge “Super Charger” concept. The 1968 Dodge “Super Charger” rolls on 21-inch rear wheels. Ride height is lowered 2.5 inches. The interior of the Dodge “Super Charger” concept includes a set of Mopar performance gauges, along with bucket seats and steering wheel from the Dodge Viper. The rear seat is deleted with a kit from the 2018 Dodge Challenger SRT Demon. 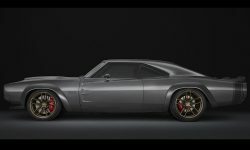 The 1968 Dodge “Super Charger” concept is a modern interpretation of the classic 1968 Dodge Charger muscle car. 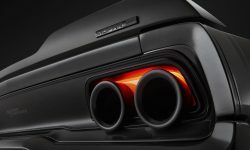 The look of round taillights is emulated on the Dodge “Super Charger” concept but those are the exhaust tips, with red LEDs providing the brake lamp look. FCA designers improved the stance of the 1968 Dodge Charger for the “Super Charger” concept by moving the front wheels 2 inches forward and widening the track 5 inches. 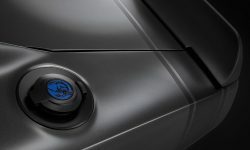 The classic fuel door remains on the Dodge “Super Charger” concept, accented with the “Hellephant” logo. The Dodge “Super Charger” concept eliminated the vinyl roof and drip moldings of the original car.